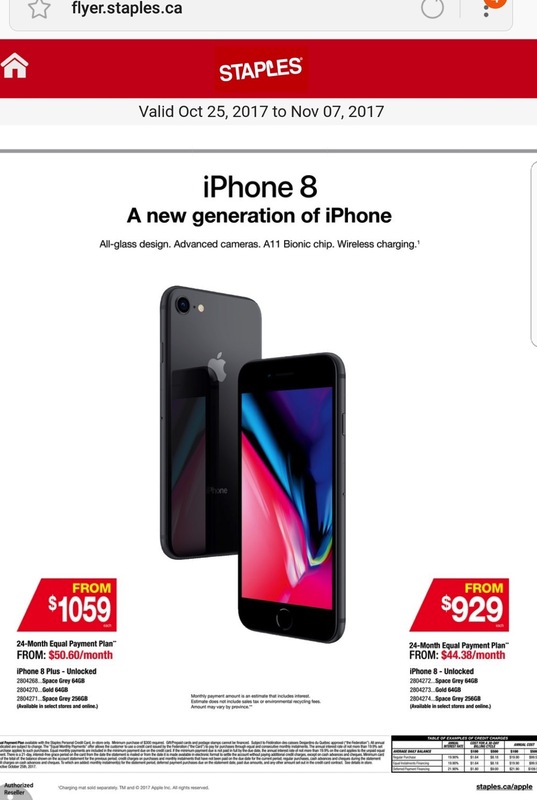 Staples Canada has launched financing for iPhone 8 and iPhone 8 Plus purchases, as noted in their flyer and website yesterday. On the flyer, we see a 24-month equal payment plan available for iPhone 8 starting at $44.38 per month, and $50.60 per month for iPhone 8 Plus. iPhone 8 starts at $929 for the 64GB model. The starting iPhone 8 payment plan of $44.38 x 24 months equals $1065.12, which is $136.12 extra in interest ($5.67/month). iPhone 8 Plus starts at $1029 for the 64GB model. The starting iPhone 8 Plus payment plan of $50.60 x 24 months equals $1214.40, which is $155.40 extra in interest ($6.48/month). According to the fine print, it says the 24 Month Equal Payment Plan is available with the Staples Personal Credit Card, in store only. Annual interest rates will be not more than 19.9% on the Staples Desjardins credit card, which you can apply for online or in store (takes up to two business days for approval). If you want to upgrade to iPhone 8 or iPhone 8 Plus, but want to keep your existing plan and don’t want to upgrade through carriers, financing may be for you if you don’t have the cash up front to buy the phone outright. Staples does not carry iPhone X yet, and any stock to hit the chain may take place in 2018 given what appears to be supply constraints on the newest iPhone model. iPhone X pre-orders take place on Friday, October 27 at 12:01AM PT/3:01 AM ET. 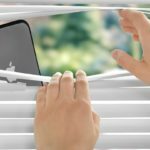 Click here to learn how to pre-order iPhone X the easy way.